Many of the games on the iPad facilitate the Higher Order Thinking Skills of Blooms’ Taxonomy. The games that place content in a context are superior to decontextual worksheets. 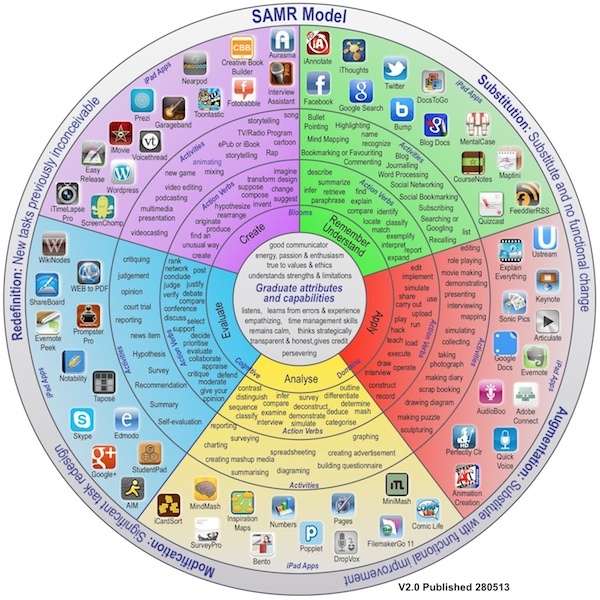 62 iPad apps were organized in this Pedagogy Wheel V2.0, it’s developed by Allan Carrington and has become very popular. Enjoy and think outside the box! The Padagogy Wheel by Allan Carrington is licensed under a Creative Commons Attribution 3.0 Unported License. Based on a work at http://tinyurl.com/bloomsblog. Check out the blog for more details. Posted on June 29, 2013, in Uncategorized. Bookmark the permalink. Leave a comment.